According to Reuters, the statement released on Saturday by the ministry after Chinese Commerce Minister Zhong Shan and trade minister Liam Fox met in Beijing, said that the two countries have agreed on boosting two-way investments and will expand the trade relations on the services market. Other spheres of interest are considered to be cooperation in legal services and an easier procedure for obtaining working visas. The ministry added that two ministers also “actively explore(d) the possibility of discussing a top notch free trade agreement between the two sides after Brexit,” albeit without giving any specific details. 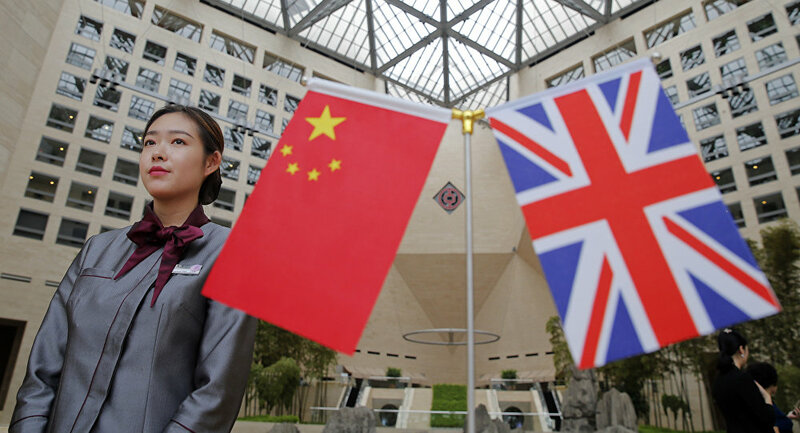 The trade pact with China has been up for discussion since last month, when China offered Britain the talks on the deal. However, the formal negotiations cannot start until the UK officially leaves the EU. The statement also said that Zhong hoped to see Britain’s delegation at a major upcoming import fair in November in Shanghai, which President Xi Jinping is overseeing, to expand exports to China. Fox noted that he will be leading the delegation to the import fair along with Prince Andrew, Duke of York and another senior member of Britain's royal family, the statement added. Fox told the reporters on Tuesday that Britain aims to increase its exports to 35% of GDP after leaving the EU by increasing trade ties with other world trade members, yet he did not state the exact timeframe for such a number. Fox had been trying to set up at least some basis for the future post-Brexit trade negotiations. The possible free trade discussions would be a political win for Britain but that such talks reportedly may take many years to conclude.